This year has been a fantastic one so far in so many ways. As we are geared up and ready for a very active wedding season, we would like to take a moment to reflect on what has made 2017 such a success. Simply put - our clients! We have gotten to know and photograph so many wonderful couples such as these two featured on the blog today. Having clients like Rania and Andy is a huge part of why this year has been so amazing! This is the kind of couple that every wedding photographer dreams about - a warm and happy pair that exudes joy. We can't begin to express how grateful we are for our clients - like Rania and Andy - who trust us in documenting their love story. From their engagement to their wedding day ...and beyond. Our clients are the best! 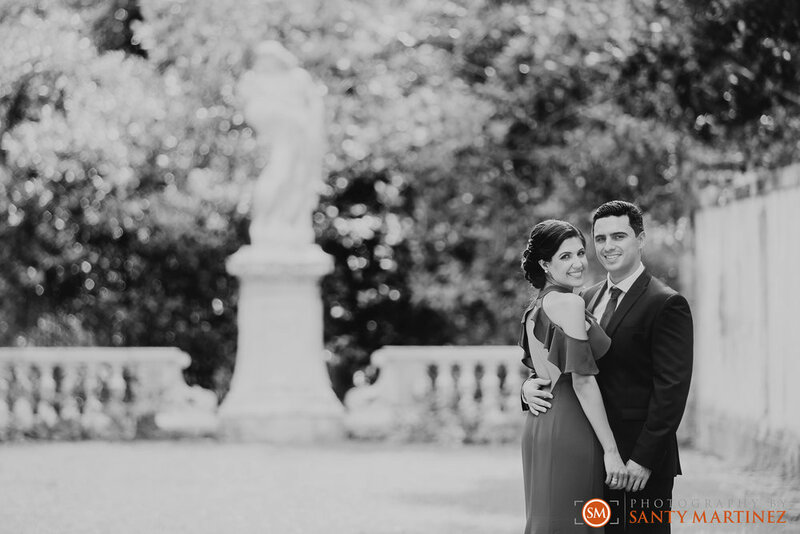 We have carefully selected some of our favorite images from Rania and Andy's Miami engagement session to share with you today. Engagement sessions are wonderful because they are much, much more relaxed than the wedding day. We have a chance to get to know each other and have fun as we’re taking photos and establish a connection that will enhance the wedding day. It’s what establishes the bond between our couples and their photographer enabling us to relax and allow us to capture the organic emotions of the day. Rania and Andy's session is a perfect example of how this works. 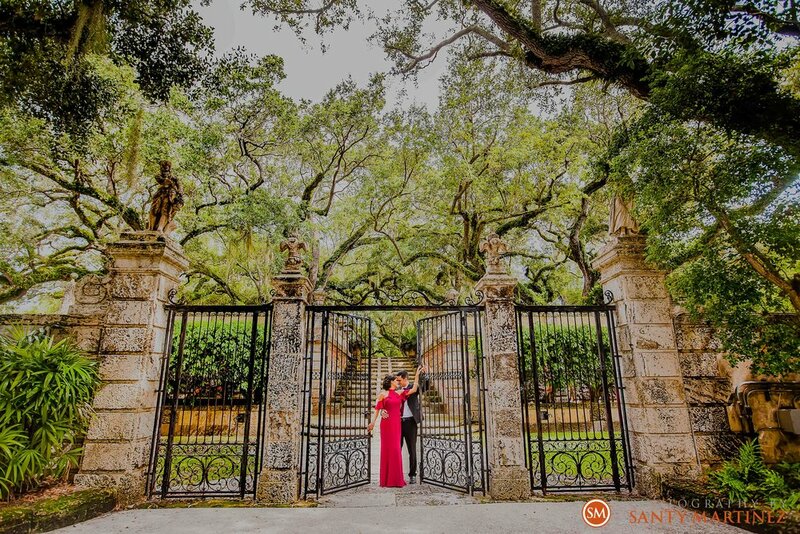 The whole session took place at the beautiful Vizcaya Museum and Gardens in Coral Gables, FL. For the couple, it was a relaxing stroll through the gardens full of fun and laughter. For us, this stroll is also a learning curve to study the couple - which poses work, which is the "real" smile or simply an observation of how the two interact in order to catch that perfect image. A professional wedding photographer understands posing and all the tricks and techniques that naturally comes from experience. We are able to give the couple direction without it feeling too stiff. The flow of the session feels seamless and by the time their wedding day comes along - they are pros at being in front of the camera! We like to think of the engagement session like a dress rehearsal for the big day. We hope that you enjoy the following images and get inspired to have an engagement session too! If you are searching for a wedding photographer we would love to chat with you. The year is not over yet and we are excited to meet our future clients!